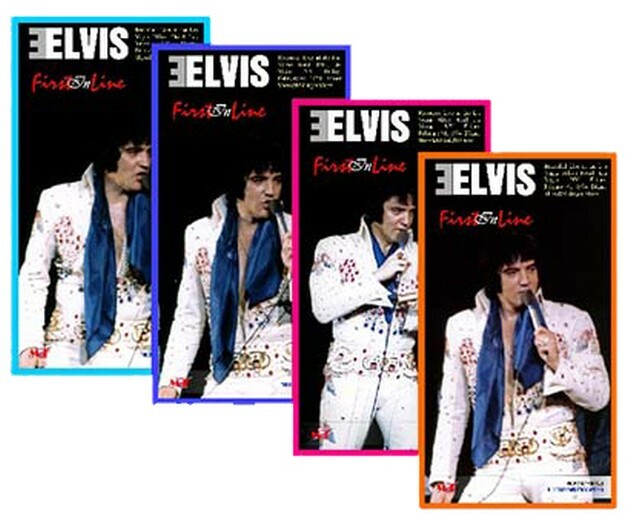 To be released soon, First In Line (MxF Records) featuring both the shows performed by Elvis in Las Vegas NV, Hilton Hotel on February 01, 1974 DS&MS. Both the previously unreleased shows are taken directly from a first generation tape. After the deserved rest of 5 months, Elvis is back in Las Vegas Hilton. A new contract has been signed by Elvis, he wants to perform twice a year, but only two weeks at a time rather than the previous four. Starting from January 12th Elvis starts the rehearsal of his 10th Las Vegas Season, on Saturday 26th He opened the season dressed in a white jumpsuit in good spirit and in good shape too. The repertoire was reduced compared to the previous season to 15/20 songs with three new additions: Help me, Spanish Eyes and the popular Let Me Be There. The choice of songs in the different shows varied little, in particular in the two shows here presented the only variation is the song The First Time Ever I Saw your face that replaces the now classic Let Me Be There in the Midnight Show. Speaking about the two unreleased shows, they are very similar, the track list is minimized and the shows are practically identical, but we are talking about of two concerts of very good quality and well performed with the audience very pleased by the shows. Elvis is bringing back the rocker Polk Salad Annie and his performing of the classic Trying To get To You never sounded better, searching the best song is very hard because all the songs are very well performed, but for sure Elvis’ joy while performing the popular Let Me Be There is undeniable, often singing also the reprise. The sound is very good for ambient recordings, we have on our hands the original mono tapes of extremely good quality enabling us to carry out a simple re-mastering work, concentrating on the reduction of noise, hiss, and clicks, but we always give priority to the integrity of the original recording, trying to achieve a clearer sound in spite of the background noise. The result is a pretty dynamic tape with a great definition of the background music and you definitely can live the atmosphere of an Elvis’ concert in the seventies. OMAHA 40! 2017 - 40th Anniversary Edition! Elvis in HD! Tags: Omaha, June, 19, 1977, Elvis, Live, Concert, in, High, Definition, HD, Quality! Omaha June 19, 1977 Elvis Live Concert in High-Definition HD Quality! This DVD is direct from the man who filmed Elvis live in August 1973 in Las Vegas. This release presents you the show from April 25, 1977 in Saginaw.